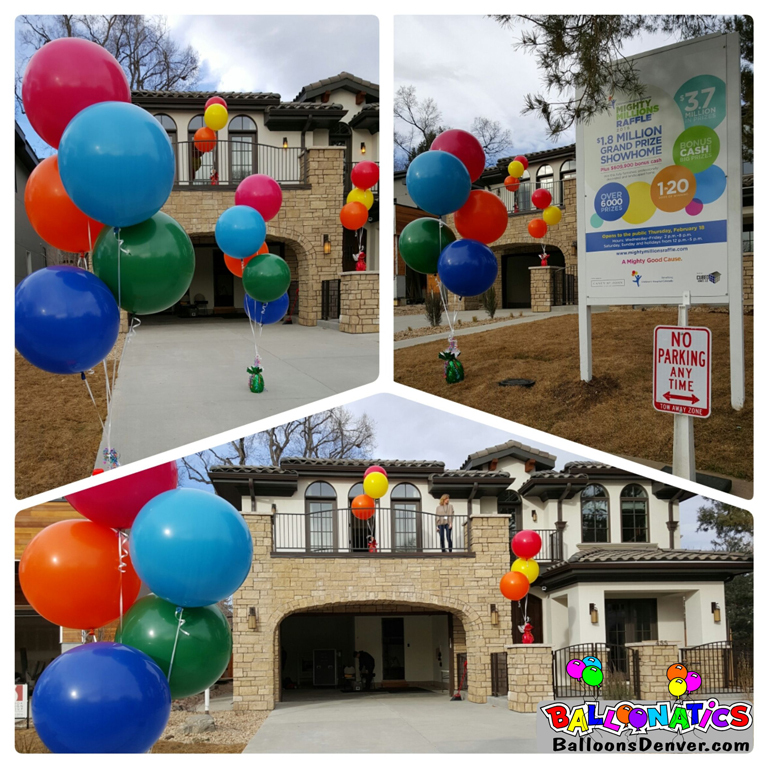 We deliver the best balloon decorations to the Denver metro area. 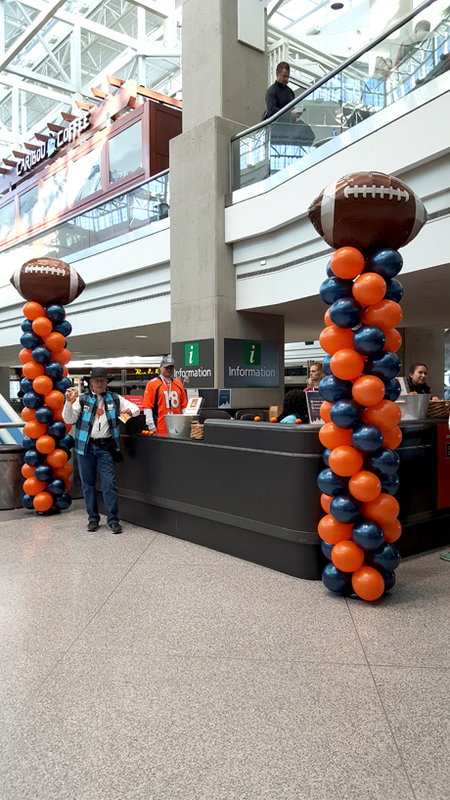 Great Cause and amazing prizes! 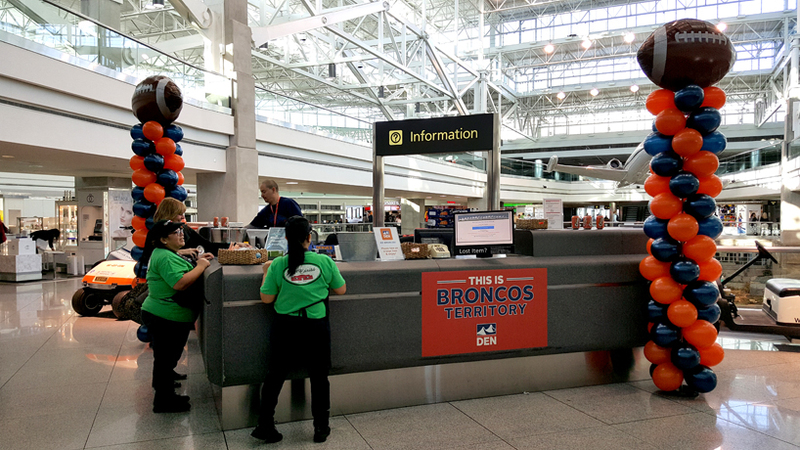 Don’t forget to buy tickets to the Children’s Hospital Colorado Mighty Millions Raffle! 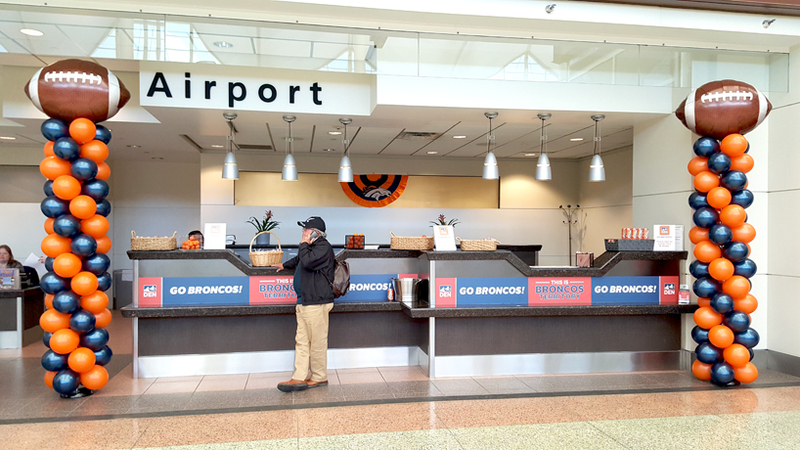 Good luck to the Denver Broncos as they go for another Super Bowl win!!! 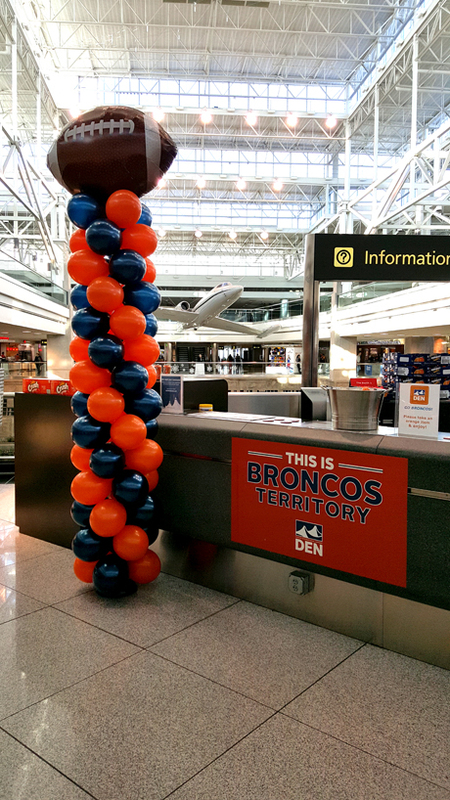 We always have a fun time decorating for any sized broncos party, but you can’t help feel something special when you are asked to decorate an International airport!! 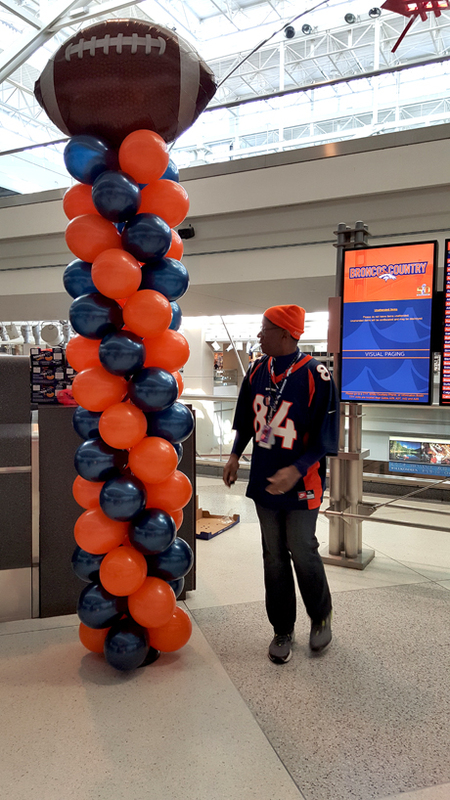 Big stuff and so are the balloons!